New members of the La Porte High School Chapter of National Honor Society were inducted on Wednesday, March 20th. 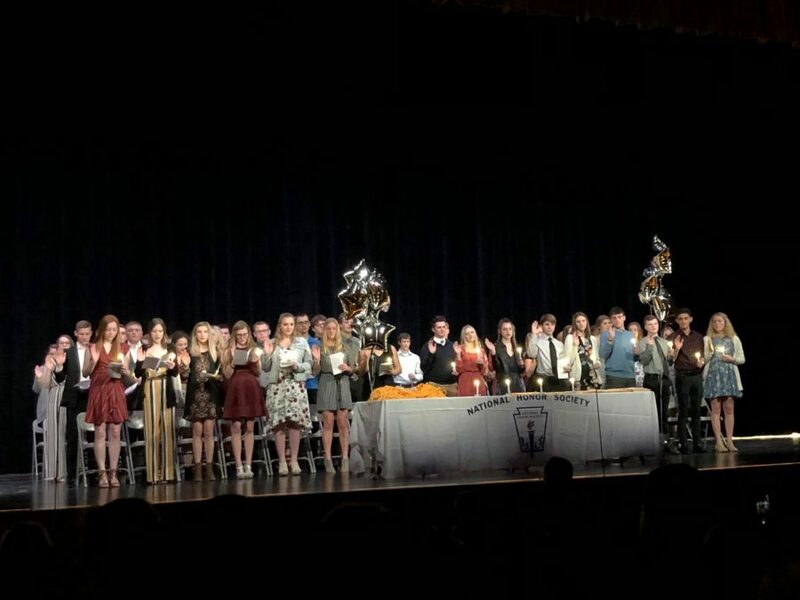 61 students were brought into NHS through a candlelit ceremony in the new LPHS Performing Arts Center. They recited the pledge, promising to follow all requirements of holding a membership. “Being inducted into NHS made me feel accomplished and proud for all I’ve done that led to this moment,” Brea Taulbee, junior inductee, said. NHS members are required to hold a 3.5 GPA and must be in good standing throughout the year. The opportunity to apply to become a member of NHS is given to any junior or senior meeting GPA and behavior requirements. After induction, students must complete at least 25 community service hours before March 8th of senior year. Monthly meetings must also be attended, with two offered per month. Through the completion of all necessary actions during their senior year, students will receive their cords to be worn at graduation representing their tremendous success as a NHS member. Members are considered the “highest in the school,” showing academic success, community involvement, and proper behavior. Any student not strongly representing these will be dismissed from Society and will be unable to walk with cords at graduation. The LPHS community would like to congratulate it’s newest members of National Honor Society.